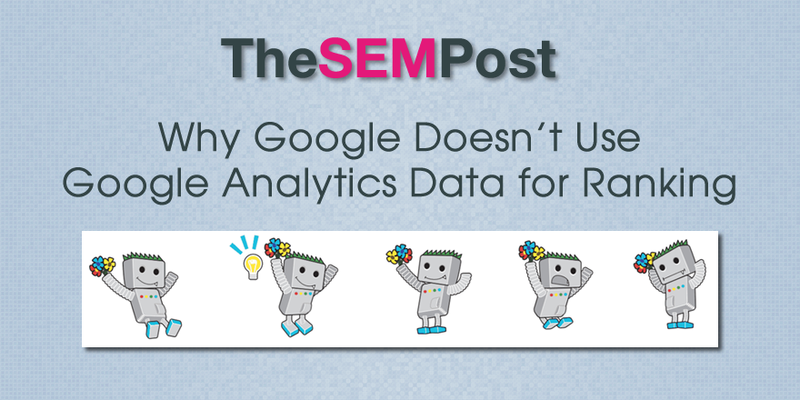 Multiple Googlers have said many times that Google doesn’t use Google Analytics data for ranking purposes, but have never really gone into detail about why this is. In today’s hangout, when John Mueller was commenting about CTR not being a ranking factor (again, something they have said multiple times) he got into specifics about why Google Analytics doesn’t play a role in ranking. Google has been vocal in the past about being wary of incomplete signals, or signals that could be turned off, such as social metrics. So this fits right in there with why Google doesn’t use Analytics data at all in their algorithm. This confirms what Gary Illyes said last year at SMX Advanced, where he said they don’t use any Analytics data for rankings at all.